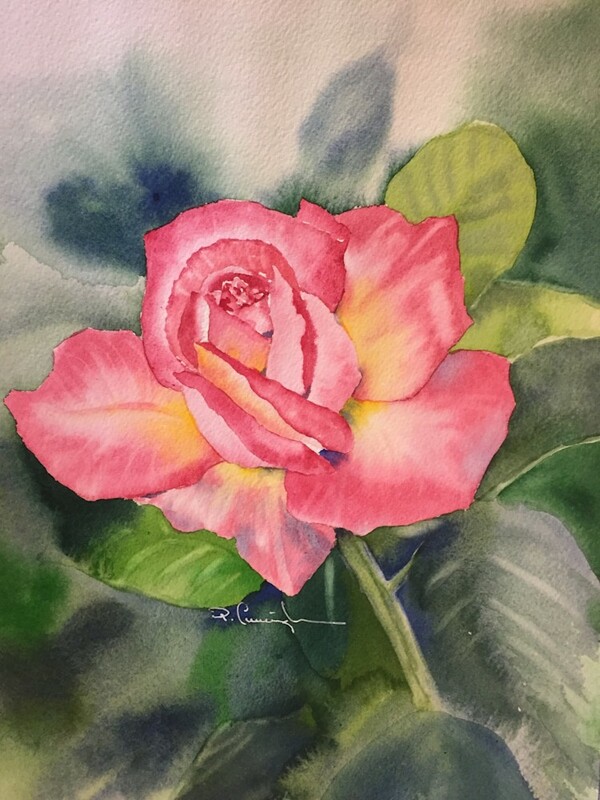 This beautiful rose was the first painting I did when I moved to South Carolina. It was one of the roses blooming in the Furman rose garden in June when I took a bike ride through campus. I love how the watercolors blended together and how the greens and pinks complement each other!